These poems reveal an impressive tenderness and have a very great variety. The ceaseless radiation of sublime ideas is perceptible in these poems. About Oliver Delgaram-Nejad (Author) : Oliver Delgaram-Nejad is a published author. 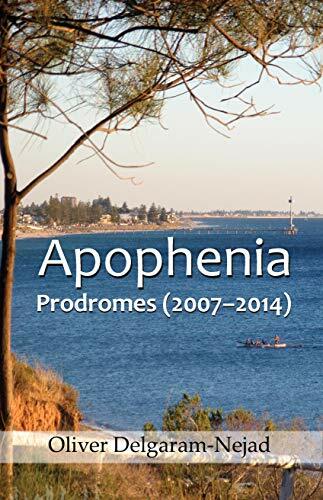 A published credit of Oliver Delgaram-Nejad is Apophenia - Prodromes (2007-2014).